Cooked vs. Raw: What’s the Difference? Proper nutrition is critical to optimal wellness. 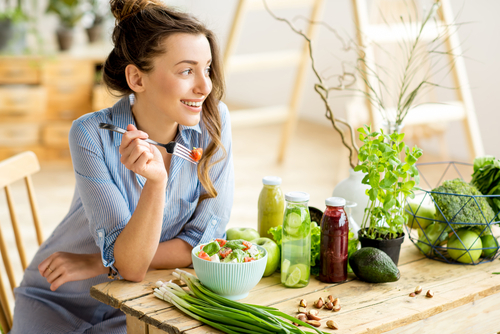 Eating a variety of fruits, vegetables, organic whole grains, nuts and seeds is a habit that can ensure you look and feel your best as you age. But does the way you prepare these foods make them better or worse for you? While the Hallelujah Diet focuses mostly on promoting raw, plant-based eating, we still break down our regimen into a daily consumption of 85 percent living foods and 15 percent cooked foods. That means both ways are beneficial and important for optimal health. When your diet consists mostly of fruits and vegetables, you’re giving your body an abundance of antioxidants, vitamins and minerals to fuel your system and boost your energy. While cooked vegetables are certainly beneficial, raw options offer the most nutrients because they avoid the heating and cooking process. Unfortunately, heating reduces the nutritional value in vegetables and can also decrease the enzymes within the foods. While that is a downfall, there is an upside to eating cooked vegetables. For instance, they have more calories and include certain important phytochemicals like carotenoids, lutein and lycopene. Fruit intake should be no more than 15 percent of your diet in any given day. This can include all types of raw and dried fruits. Vegetables are the best part of the Hallelujah Diet! 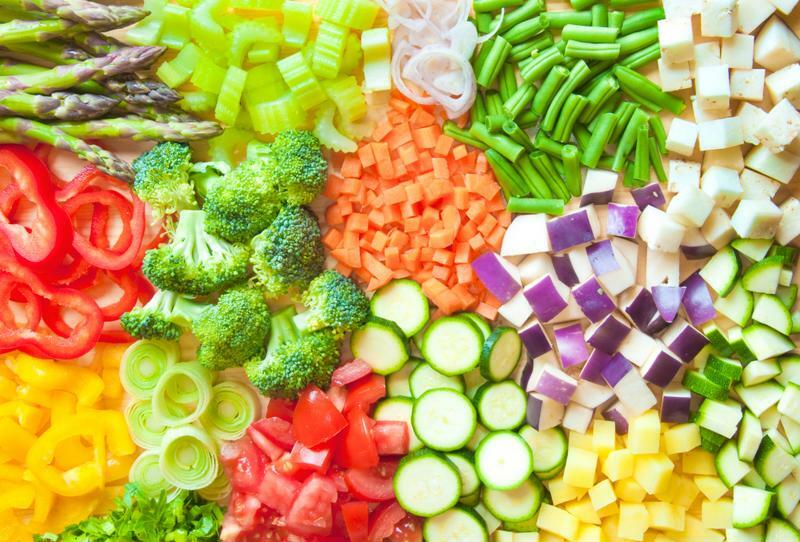 You can enjoy as many raw and cooked veggies as you want during the day, just be sure to prioritize raw options. Raw nuts and seeds are loaded with beneficial nutrients and healthy fats. Eat lots of raw almonds, tahini and sunflower seeds. Be sure to eat walnuts and macadamia nuts in moderation, as these nuts are high in calories and fat content. Eat plenty of beans and grains such as green beans, peas, sprouted garbanzo beans, sprouted lentils, sprouted grains, soaked oats, millet, raw muesli, dehydrated granola or crackers and raw ground flaxseed. Instead of choosing dairy, stick to rice, coconut and nut milks! Other beverages should be limited to distilled water and extracted vegetable juices. Joining us on the path to better health and well-being doesn’t have to be difficult. You can exchange your unhealthy ways for a greater life with ease. Check out our Get Started Guide to learn more about the Hallelujah Diet and how you can transition to better habits and turn your life around today! This was a great Blog! I have tried doing more of the raw and it have help me. I see a difference when I start to change my eating habits. Thanks again for some great information. How do you measure the 15% fruits, 15% cooked, etc? Is it by weight, volume, or what? 15% cooked food and fruit consumption is just a general guideline. Hallelujah Diet has never made a definitive way to measure that. There is a wide variety of delicious things to eat on a plant based diet. Thank you Melody, Ann, Paul, and everyone on staff at Hallelujah Acres for everything you do getting info out to us. Miss George and Rhonda and hope they will pop in from time to time to keep us updated on how they are doing in retirement. Thanks for keeping HA on the cutting edge.. much appreciated! Hi Debbie, Appreciate your kind words! There is simply no replacing George and Rhonda. A big highlight of my life was getting to work with them both. It took tremendous dedication and drive for George to travel and do seminars all those years. He was so very anointed to speak from the heart and encourage. Rhonda compliments him so well. Those Saturday seminars in Shelby were electric. 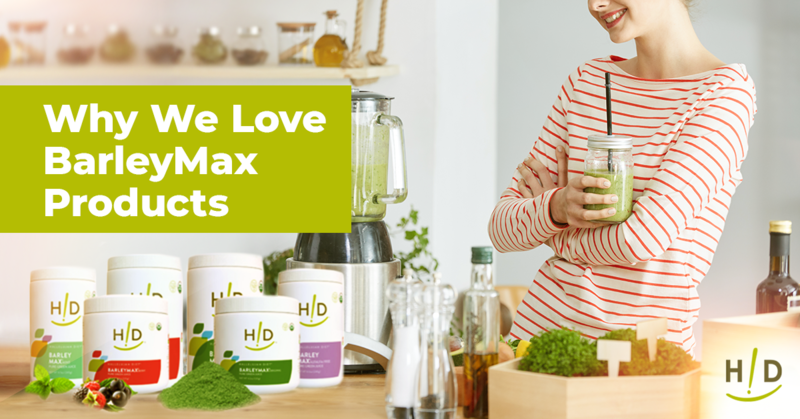 They motivated countless people to step up and take control of their eating habits and in return, their health. I, too, wish they would come out of retirement. However, I believe they gave it their all for many years and have left a wonderful legacy. Once you have made the decision to change your diet, it becomes easier each day. There is such a wide range of fruits and vegetables available to you you should never become bored. Thanks for this helpful information and I agree with Melody Hord….those Saturday with George an Rhonda were electric. Seeing George so filled with excitement to share his knowledge was the best!! It is so wonderful that most of the foods you eat on a plant based diet are good for you, whether they are eaten raw or cooked. 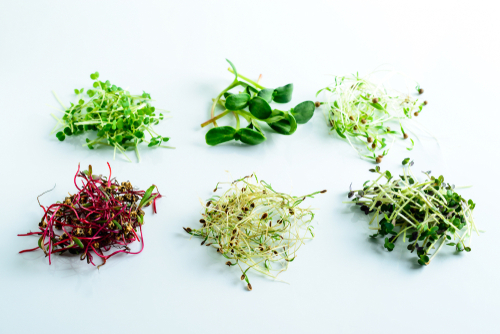 While we do strive to consume a higher proportion of raw vegetables, it’s important to remember that even this is flexible, based on each person’s needs. Some people need to consume more cooked foods to maintain or gain weight, and then there are people with severe digestive issues that may need to stick to primarily cooked foods in the beginning to allow the colon time to heal. Nothing is set in stone, but it is simply healthy and can be adjusted to meet each person’s needs. 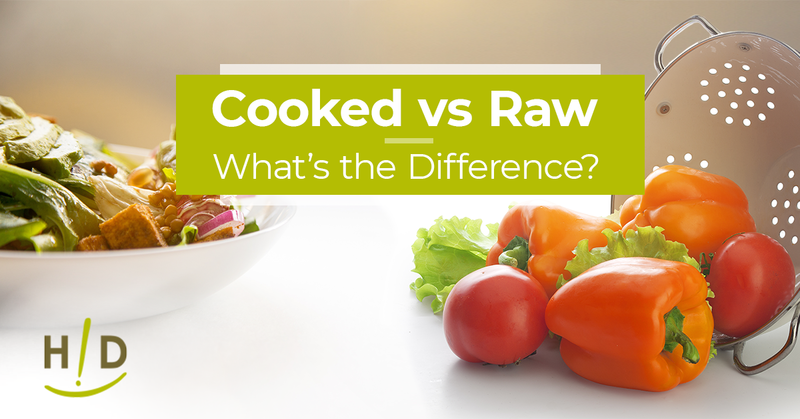 Great information on cooked vs raw foods!